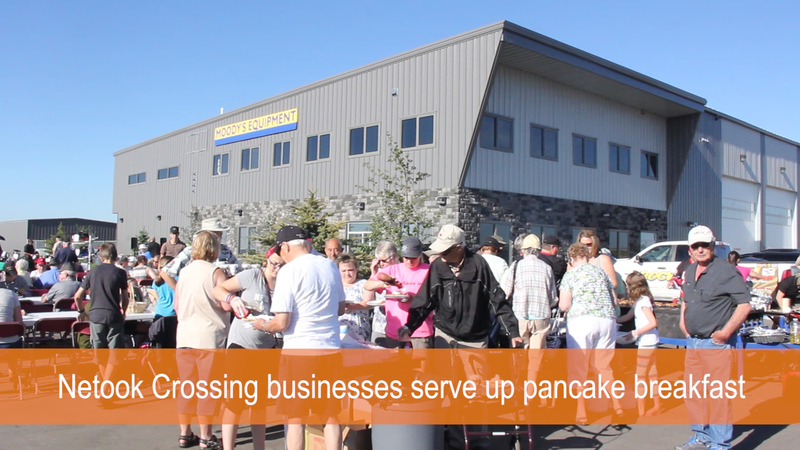 On Saturday June 27th four businesses in Netook Crossing east of Olds in partnership with the Olds & District Chamber of Commerce served up a pancake breakfast under sunny summer skies. Moody’s Equipment, Mountain View Dodge, Country Road RV and Westview Co-op Bulk station welcomed visitors from Olds and Mountain View County to the business area. 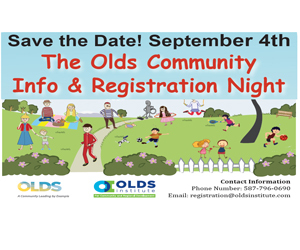 Volunteers from Olds College and Hope 4 MVC Kids cooked up pancakes and sausage for the visitors which included children, parents and grand-parents. It was estimated that over 400 people dropped in to check out the equipment, vehicles and camping units on display.